In addition to our attorneys we have a team working in a variety of support roles. Our team approach means we play a critical role in supporting the attorneys to provide the best service to our clients. Marla joined BCL in February of 1988. 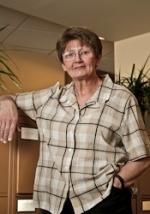 She joined the firm after graduating from paralegal school and has been with the firm for 27 years. 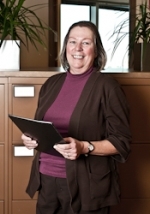 Marla provides direct support to several partners and attorneys and is very knowledgeable in her field. Marla and her husband have two dogs.She enjoys crafting, woodwork and home improvement. Sally came to work at BCL in 2009, after working for 11 years at Stern and Elkind, LLP, an immigration law firm in Denver. She works with partners Mike Lowe and Brian Reynolds as an assistant and paralegal. Sally enjoys spending time with family and friends, and is a founding member of the Colorado Sweet Corn Queens, participating in parades and charitable fundraising.